To bring you the best of everything Colorado has to offer. Everything about Max Taps Co is influenced by Colorado, even our tables were made here. We carry the best beers and wines in the state. We aim to support other Colorado businesses while having a great time over a pint of beer. We have 54 rotating, Colorado only, taps year-round! We go out of our way to bring in the best and most unique beers from all over this great state. We are constantly changing our draft list to find you the newest and best beers to try. We also carry several Colorado craft wines on tap. Our goal is to bring you beers from across the state, available across the street! 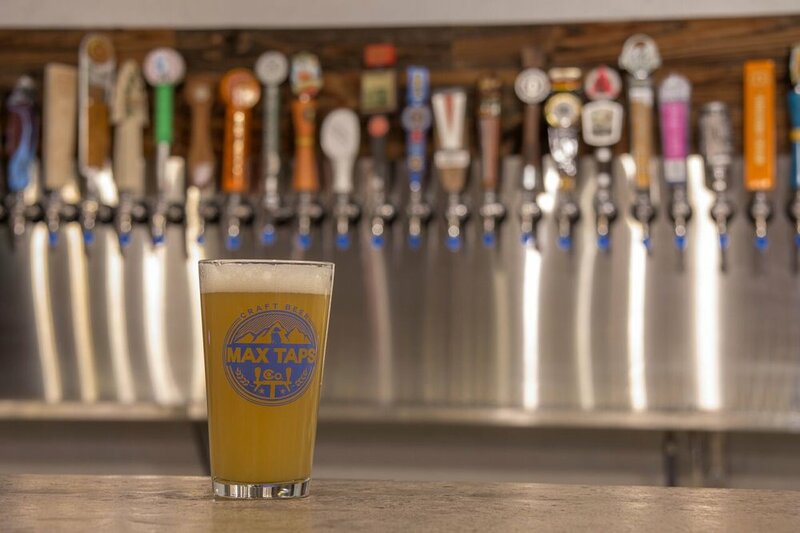 Max Taps is named after Dave's dog, Maxine. Maxine was the greatest dog ever and was truly deserving of her own craft beer bar! Colorado loves dogs and so do we! Our patio and "Doghouse" are both dog friendly. That's right, you can come have a beer with your dogs! Dogs, please drink responsibly. Our owner Dave, didn't want to get a "real" job so he decided to create a job where he could just drink beer! Turns out that there is a lot more work than he ever anticipated, but he does get to drink a fair amount of delicious Colorado craft beer. Please help Dave stay employed at his dream job by dropping in for a pint!